Have you ever wanted to project a smartphone video to your friends? Now, the next time you see a viral video that you just can’t help but share, you can do that in a matter of seconds, turning small-screen videos into large-scale projected images. 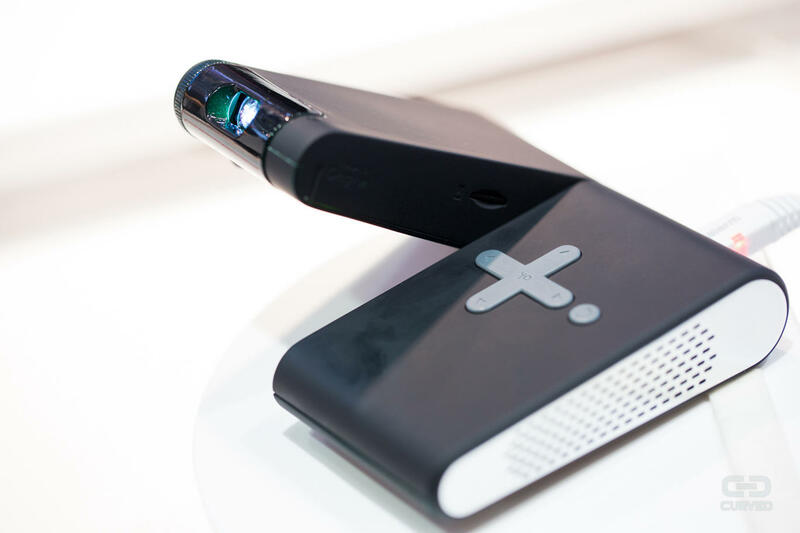 Recently, Lenovo unveiled the Pocket Projector at the Mobile World Congress in Barcelona. The mini-projector has the ability to fit on any Android phone, and project an image as large as 110 inches. That means whenever a video catches your eye, you can project it on the nearest wall in the blink of an eye. How’s that for projector portability? Of course, it’s a mini pico projector. That means it’s not going to replace your home theater set-up, or project Full HD stunning images. But it does offer a handy, portable solution that will suit the needs of a variety of users – from business travelers who want a quick set-up for on-the-go presentations to kids who want to project the latest YouTube video for their friends. So just how powerful is the Lenovo Pocket Projector? Here are the specs: Lenovo says the system provides both 4:3 and 16:10 aspect ratio support, and it has a 50-lumen LED bulb with a 1,000:1 contrast ratio. That’s fairly impressive considering its jacket-pocket size. 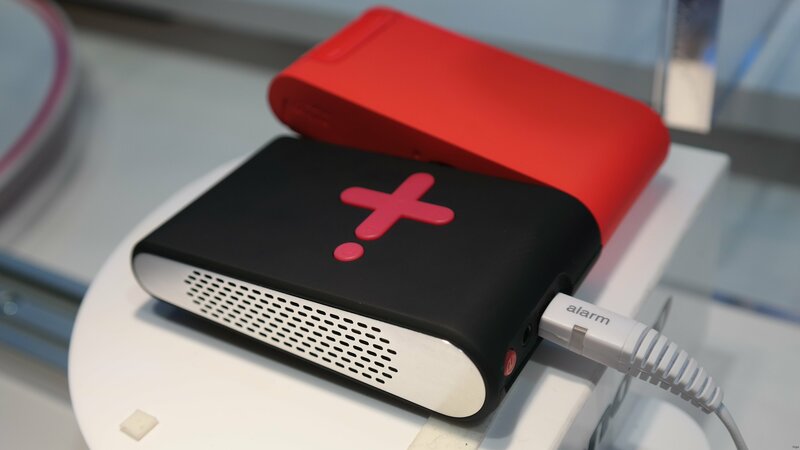 Plus, the Pocket Projector has dual built-in speakers, at a half watt each, making it a true turn-key projection system. You can plug and play in seconds, with video and audio. The system is also battery powered, with a battery life of over two hours. So if wanted to project a feature-length movie, you could, and finally, the projector’s native resolution is 854×480. So it’s clearly not designed to compete with Full HD projectors, but yet, it’s still capable of providing a reasonably resolute image on-the-go. Just think, a few years ago, this sort of device wasn’t a possibility. Other useful features include a tilting lens feature, so the image can be moved up or down to fit the screen. Plus, there’s a MicroUSB connection for your phone, as well as wireless connectivity. So there are plenty of options to connect your device. Or if your phone isn’t nearby, you can use a 32GB SD card. The projector supports JPEG, MP4, MP3 and AVI files on SD cards. So how much will the Pocket Projector set you back? When Lenovo announced its latest device, they said it would be available in May for about $250. That makes it highly competitive, price-wise, with other pico projectors. At $250, Lenovo’s would be in the same range as models by Acer, while AAXA’s pico projectors are about half the price. 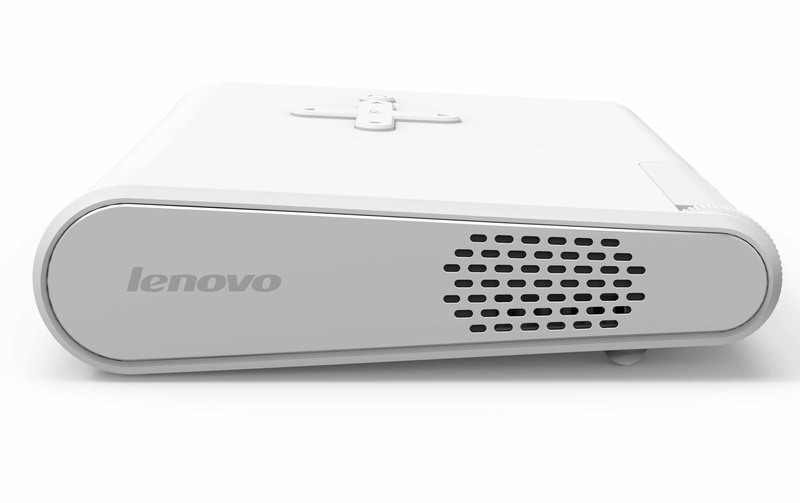 Not to mention, the release of the Pocket Projector is another bold step forward for Lenovo. Recently, the manufacturer released the Yoga Tablet 2, a tablet computer with projection capabilities. The manufacturer continues to produce innovative A/V toys, and the Yoga 2 and Pocket Projector are prime examples. MyProjectorLamps.com is your source for low-cost, high-quality projector lamp bulbs. We have the largest selection of projector bulbs on the web, and our prices are unbeatable.